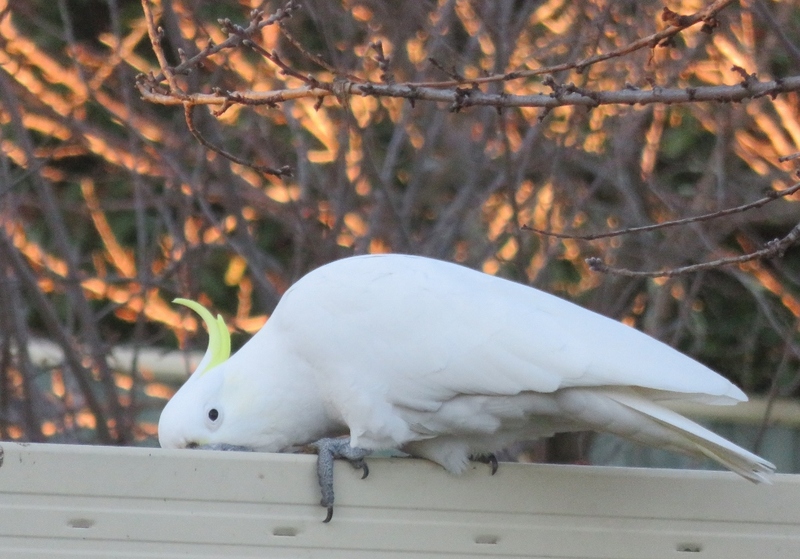 Canberra has a crisp blue-sky beauty in winter…..and for those of us who live in leafy suburbs, it is all about the birds that visit our gardens, and brighten a cold day. 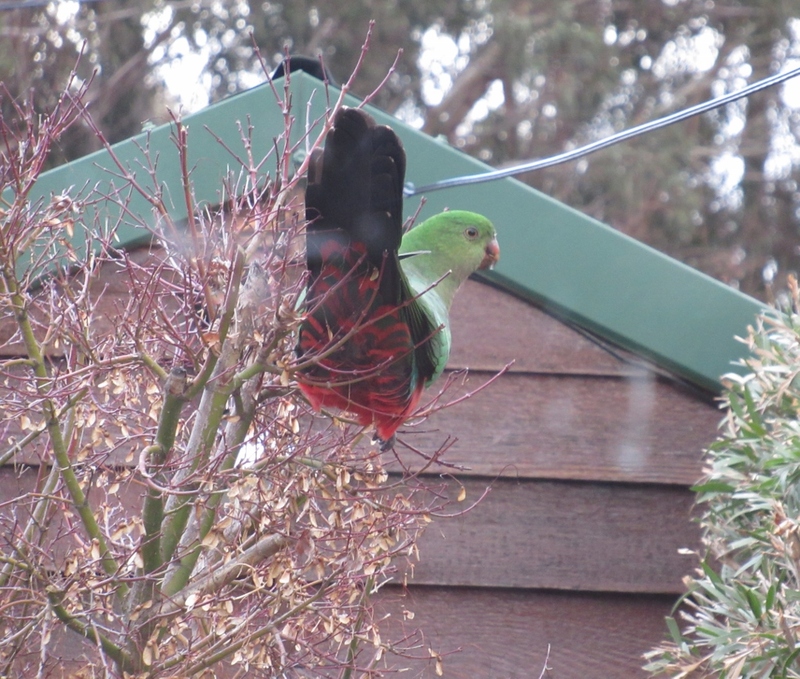 Winter is the time for King Parrots in our garden…. and this year they are searching, in particular, for fresh water. 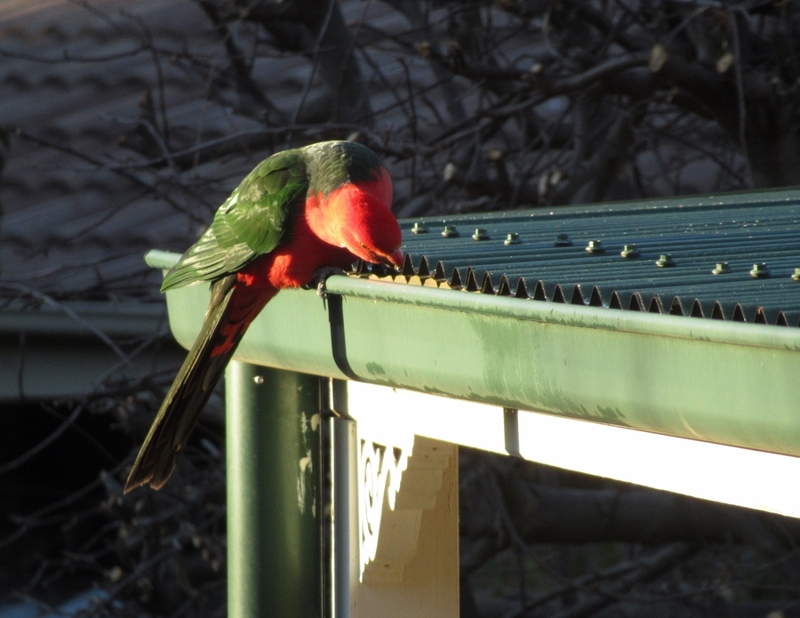 Almost every morning they check the gutters of our cabin for frosty water pools warmed by the morning sun. 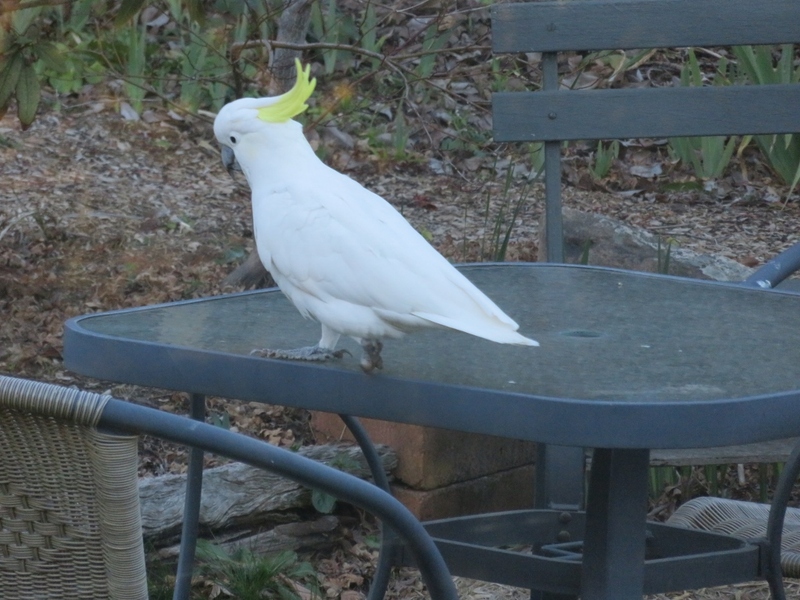 Although King Parrots are relatively large, they are sweet, shy birds, always in pairs, and easily frightened away..
Our regular Sulphur Crested Cockatoos are also looking for water..
and we are found wanting ……. 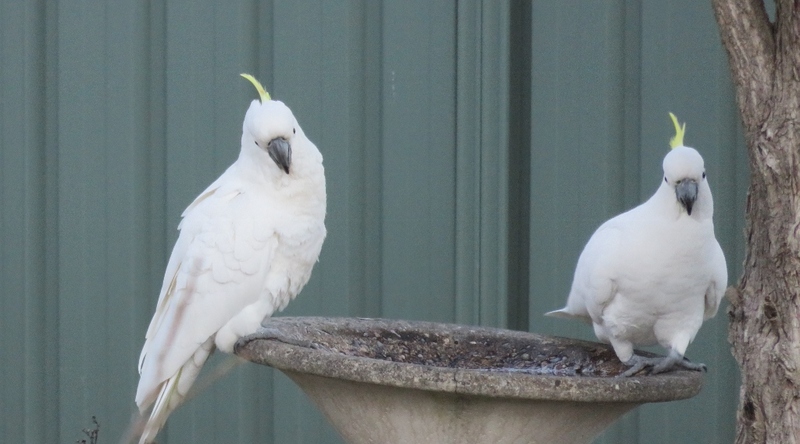 Where are the bird baths? What happened to all the almonds? I have the feeling we are getting zero out of ten for this old bird bath..
Hardly any water, shabby looking, almost toppling over.. 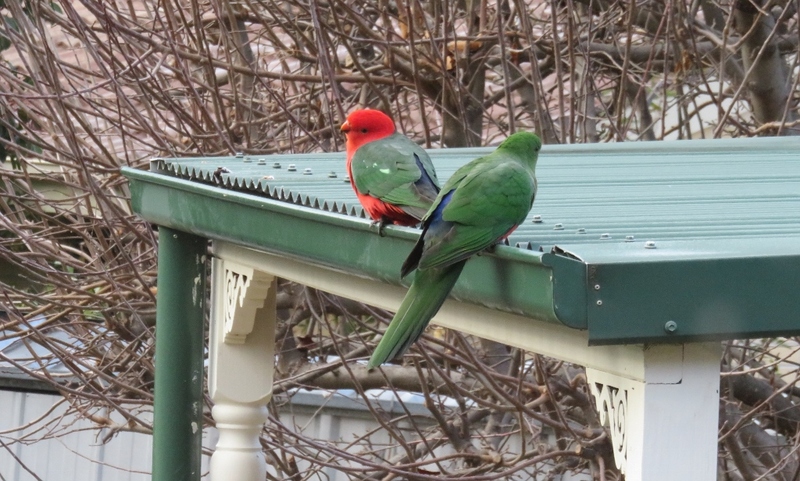 The birds are great fun to watch while I am resting and waiting for my wrist to mend. Many thanks for all the well wishes, my wrist is now almost back to normal, and all is well. 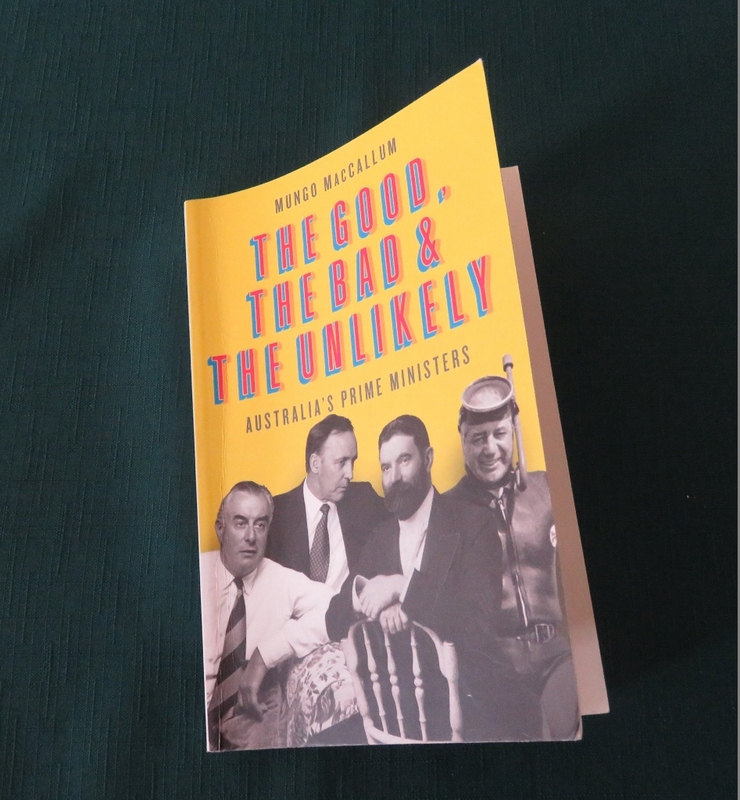 This book, called ”The Good, the Bad, and the Unlikely” is a very short history of Australian Prime Ministers. It is written by the irreverent and humorous journalist Mungo Maccallum. Commonwealth Avenue Bridge. Some of the flat stones from London’s Waterloo Bridge (when it was demolished) were donated to this bridge when it was built in 1963. Inspired by my reading, I wanted to take a photo of the statue of Edmund Barton, the first Prime Minister of Australia. His statue is appropriately in the suburb of Barton, and we decided to incorporate a walk around Commonwealth Park, near the centre of the city, before taking the photo. 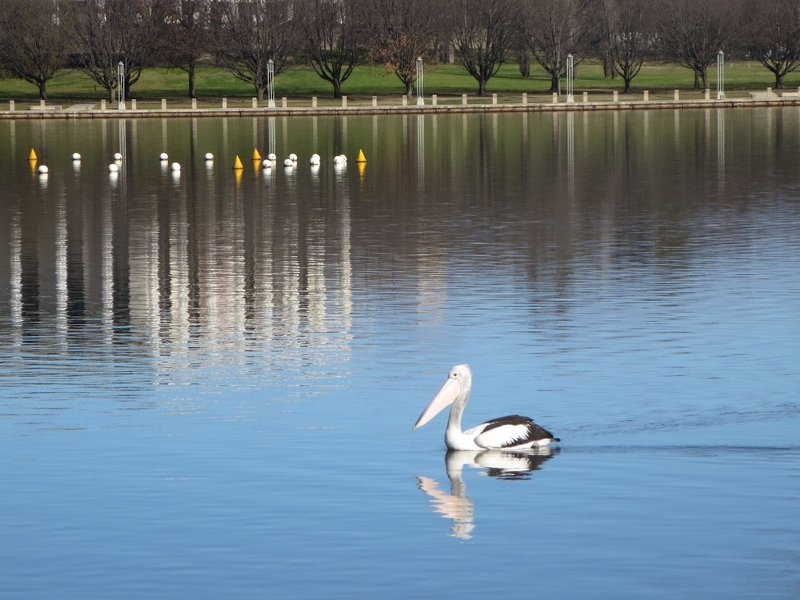 Despite being a clear winter’s day, there was a biting cold wind, and all walkers and cyclists have long abandoned the Lake and are warming up in coffee shops all over Canberra. 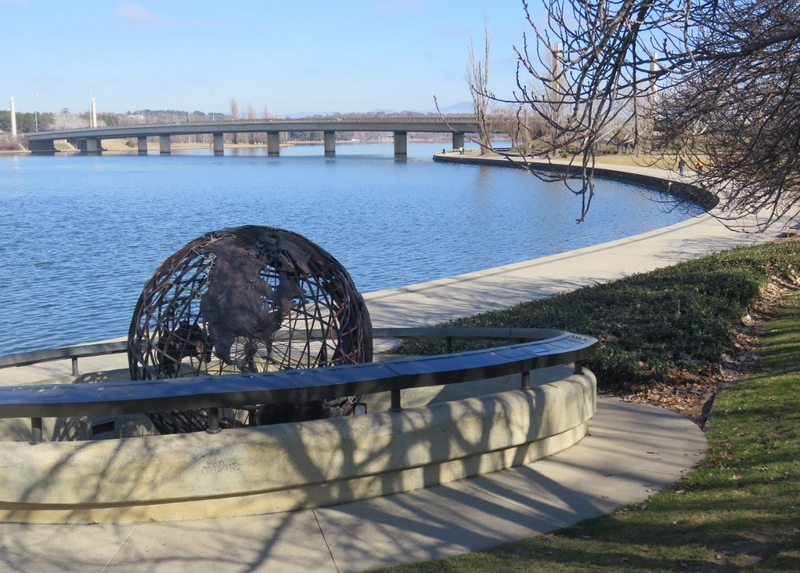 The Captain James Cook Memorial is combination of the water jet, and a terrestrial globe, and commemorates the bicentenary of Captain Cook’s landing on the east coast of Australia in 1770. The three routes of Cook’s voyages, are inscribed on the surrounding handrail. 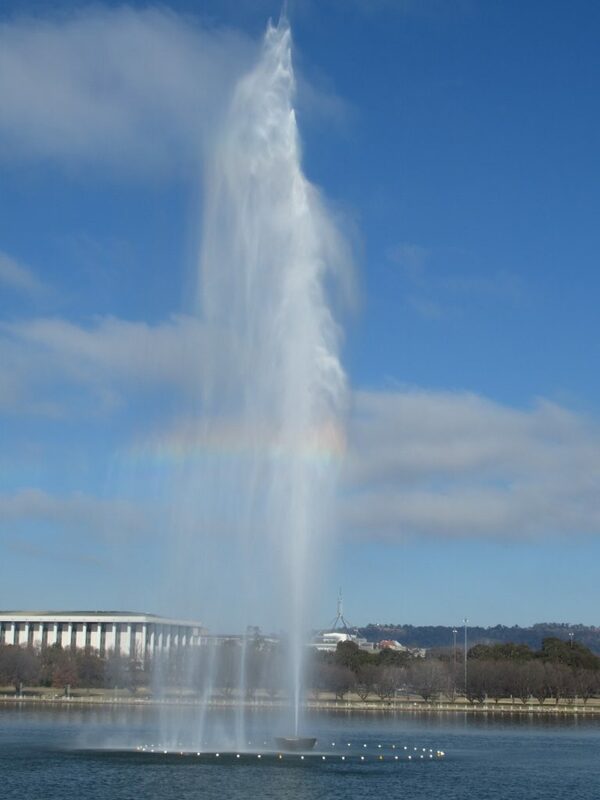 The stunning jet of water always attracts the eyes of tourists, especially children. 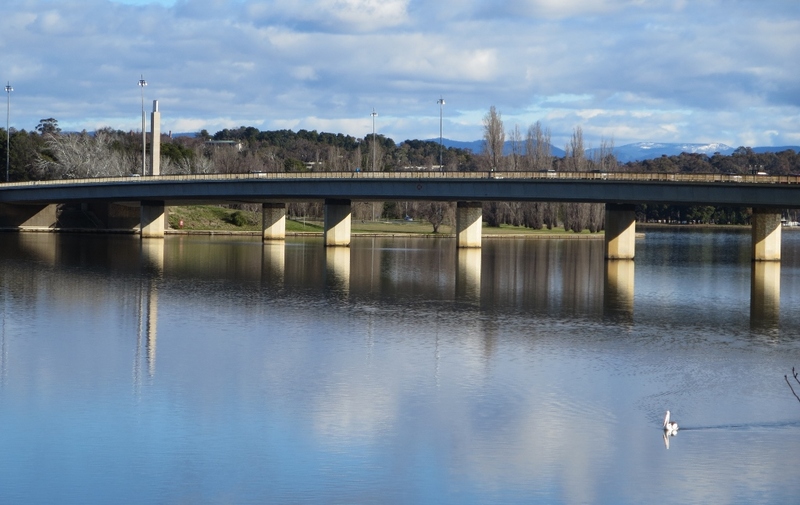 Many years ago, as a young teacher in Canberra, I met up with friends and we hired a little boat, and rowed around the fountain. We were thrilled to get thoroughly wet by the jet spray……they seem such innocent times now! 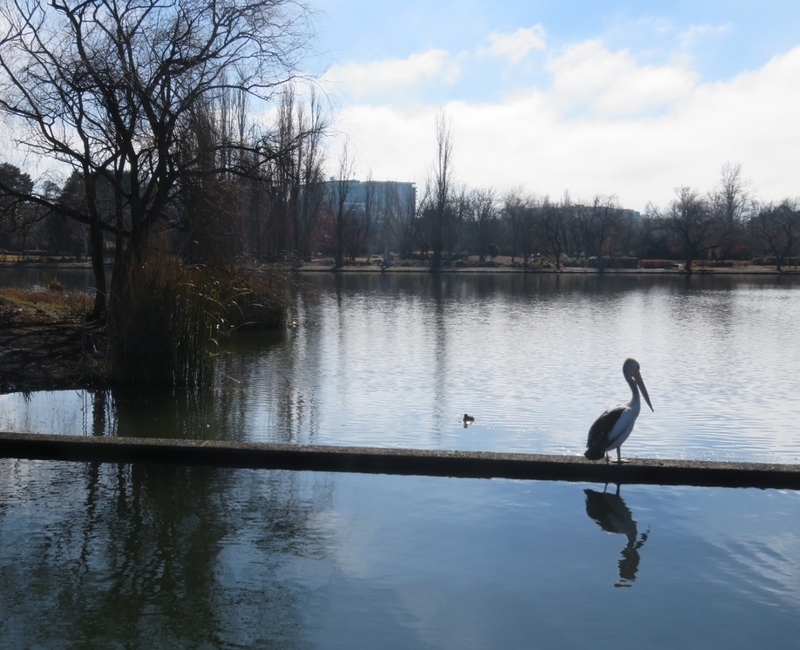 The above photo was taken in winter a few years ago…the photo below was July 2018, absolutely freezing…..even the resident pelican looked downcast. 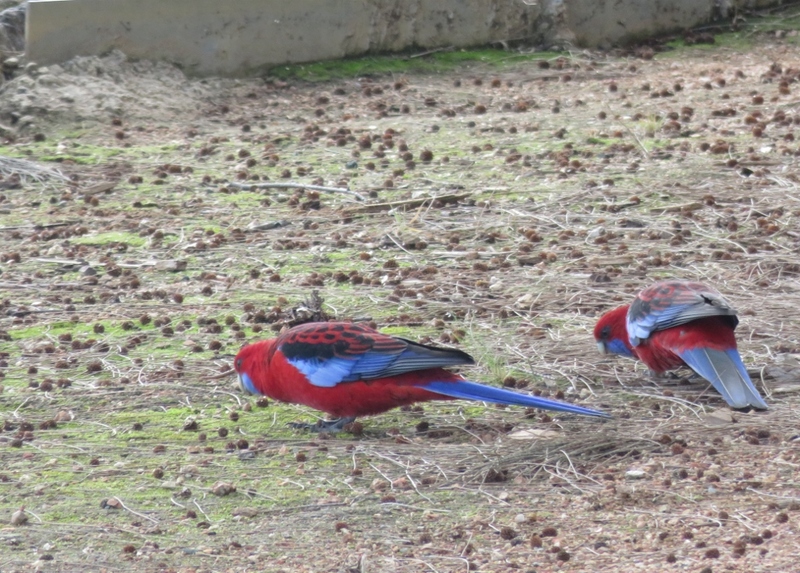 However, a pair of Crimson Rosellas were steadily eating their way through some scattered seeds from overhanging trees. 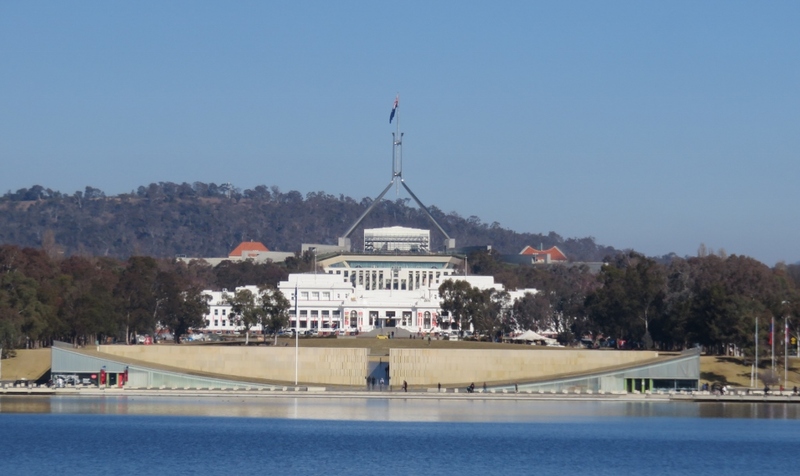 Across the lake from Commonwealth Park there is a view of Old Parliament House (now the Museum of Democracy) and behind it, Parliament House today (under repair as the roof has been leaking). 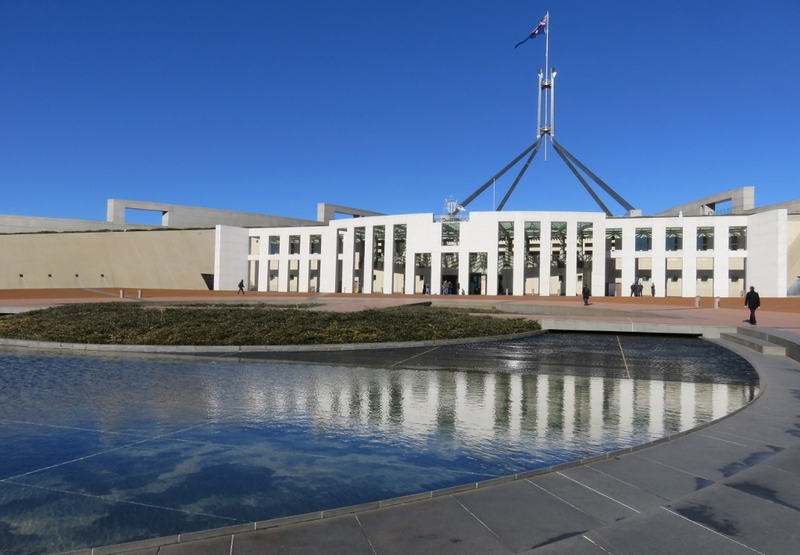 Here is another, much closer, photo of Parliament House. Much clearer without the repair work tent over the roof! 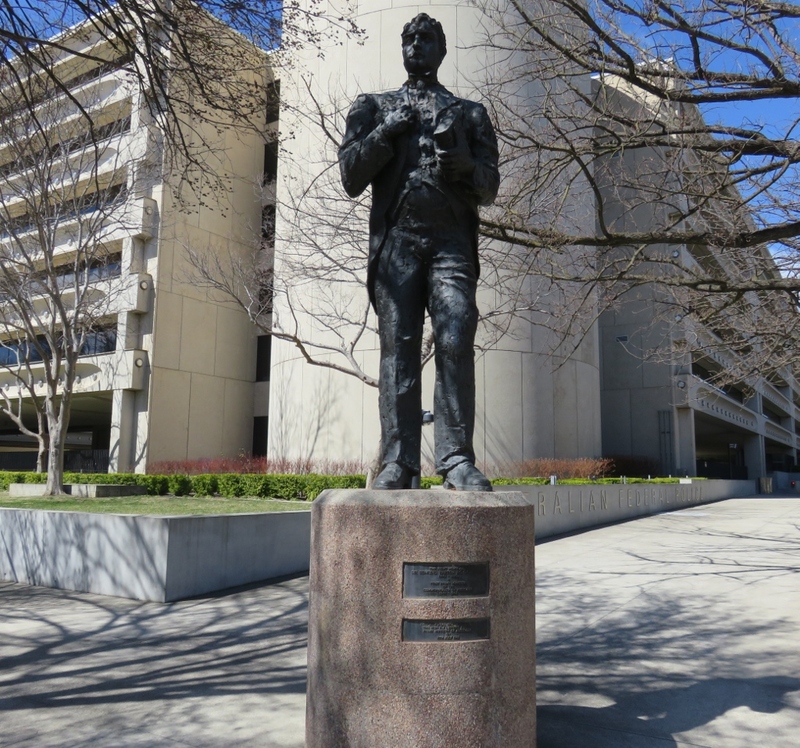 And here is the handsome statue of Edmund Barton…. According to Mungo Maccallum, Australia’s first Prime Minister, Edmund Barton had one unique quality…he managed to unite a fractious group of politicians and colonies into creating a federation… in Mungo’s words..
Like most of their descendants, this motley bunch (the politicians at the time) were driven by a combination of idealism and self-interest, and getting them to agree on anything substantial was like herding a football team into a temperance meeting room. What a talent! I wonder how successful he would be if he tried that today! 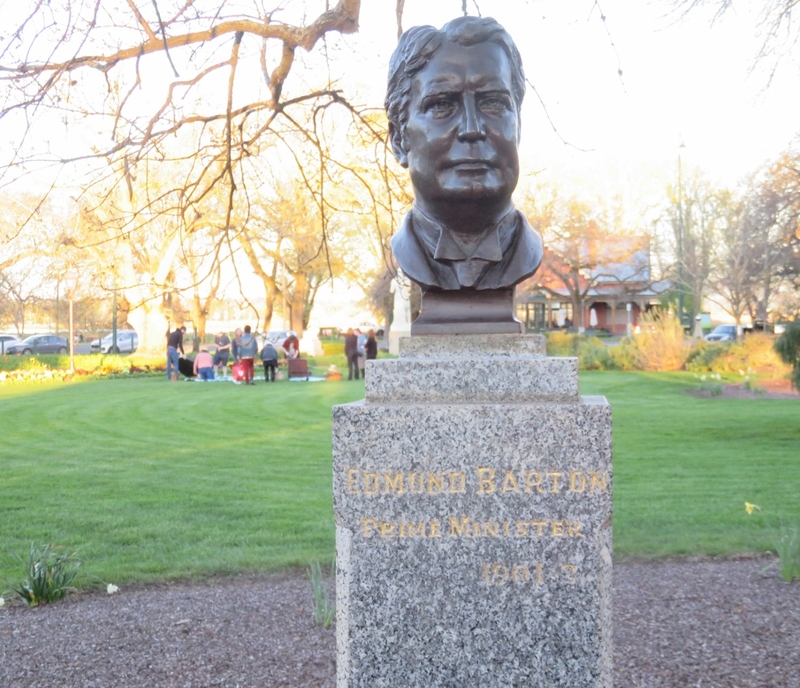 Here is another sculpture of Edmund Barton, which is in The Prime Ministers’ Avenue, set in the magnificent Horse Chestnut Avenue of the Gardens in Ballarat. Well worth a visit, in every season. I hope you are enjoying your green spaces, where ever you live in the world….each season has a beauty of its own. 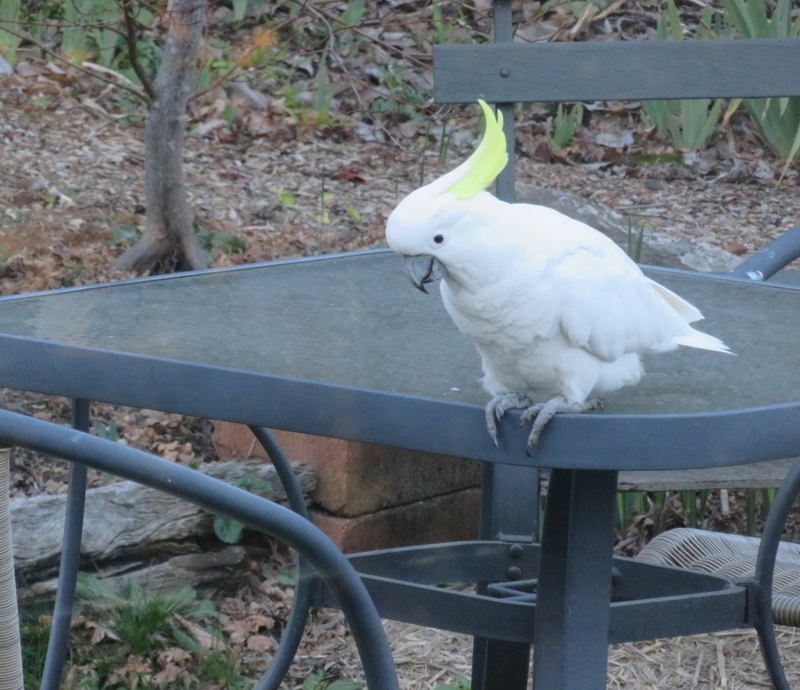 This entry was posted in Canberra's Public Gardens, Canberra's Suburban Gardens, Wildlife in the suburbs and tagged Australian King Parrots, Australian Parliament House, Captain James Cook Memorial, Edmund Barton, First Prime Minister of Australia, Lake Burley Griffin, Sulphur Crested Cockatoos, winter on July 21, 2018 by germac4.